Dropbox integration. 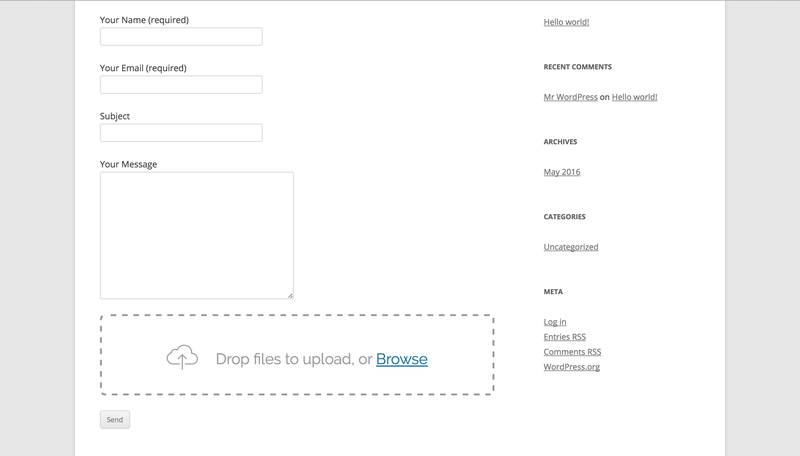 Now you can receive uploaded files directly to your Dropbox folder. No file size limit. You can receive very big files via Contact Form 7 Drop Uploader. Thumbnail and List Layouts. You can choose, which layout is more suitable for your site. File Type Validation. Set, which type of files is allowed to uploading on your site. File Size Validation. Set maximum size limit for a single file. Browse link styling. If you need to change Browse link styles, you can add custom CSS classes for it. Ability to receive files as mail attachments or links to uploaded files. 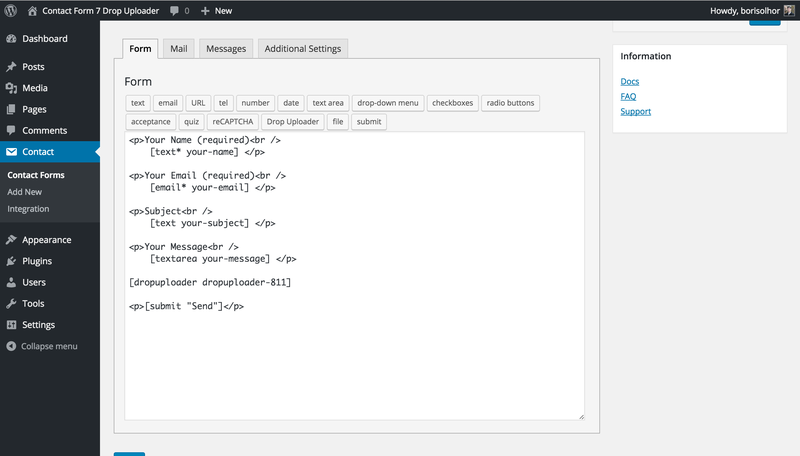 You can receive uploaded files as mail attachments or as links to files on your hosting. Or both. Ability to receive attachments archived in a zip file. You can receive attached files as a zip archive, instead of several files. Ability to set several fields in one form. 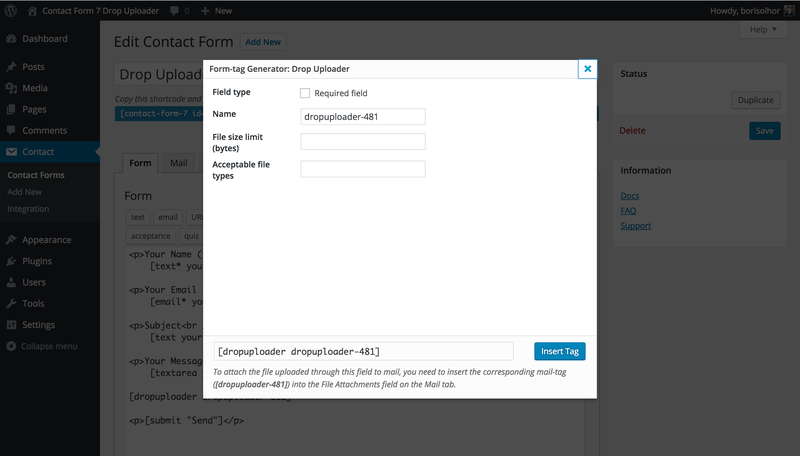 You can add several Drop Uploader fields to one Form.